Art Rise Savannah invites everyone to join the Starland Community for the upcoming Art March on Feb. 6 from 6 p.m. to 9 p.m. The event will be featuring local cafes, boutiques, galleries and creative spaces. 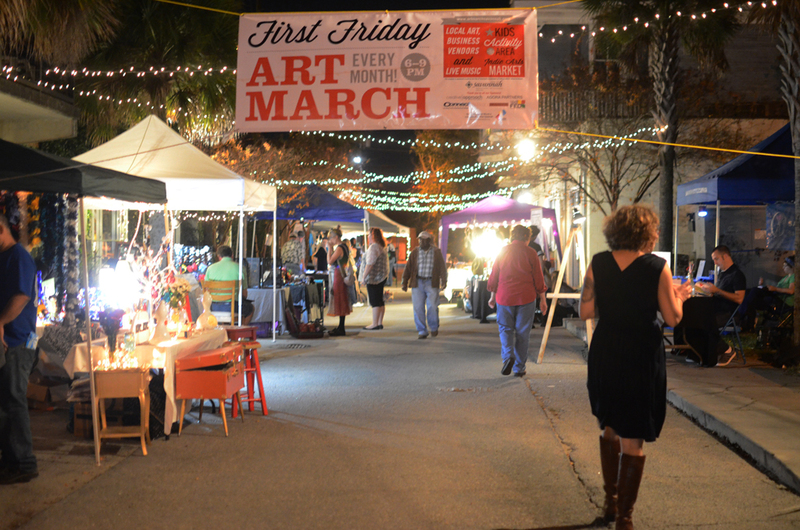 The Art March is quickly becoming the best way to experience the local talent that Savannah has to offer. There are opportunities to admire art, meet the artists, learn new skills, and find exciting local treasures. Enjoy the free Art Trolley, compliments of Old Savannah Tours, to visit all the locations. At the open air Indie Arts Market, shop unique handmade goods of local artisans including jewelry, fashion accessories, original paintings and prints, pottery, and more. There will also be a Kids Activity Area for the young and young at heart. Located on Desoto Ave. between 40th and 41st streets. February’s participating businesses include Anahata Healing Arts, Black Orchid Tattoo, Art Rise Gallery, Revolver Studios, Sulfur Studios, Foxy Loxy Cafe, Sentient Bean, The Foundry Coffee Pub, 40space, Appreciation Society, Grand Bohemian Gallery, Mathes Land & Cattle, Non-Fiction Gallery, and Whit’s End. For location addresses and more information visit artmarchsavannah.com. Ride the Free Art Trolley to make your way to all the locations at this month’s Art March. The trolley makes a loop every 25 – 30 minutes starting at the Indie Arts Market at 6:30pm, ensuring that attendees can see and experience as much of the art event as possible. In the unfortunate event of heavy rain, Art Rise Savannah may have to cancel the Indie Arts Market. All other locations will be open and the trolley will continue to run. Stay tuned to our facebook and twitter for up to date information. Funding for the Art March is provided by the City of Savannah’s Department of Cultural Affairs. This program is support in part by the Georgia Council for the Arts through appropriations of the Georgia General Assembly. GCA also receives support from its partner agency, the National Endowment for the Arts. This months sponsors include Creative Approach, Old Savannah Tours, Connect Savannah, Agora Partners, Well Fed Magazine, Blick Art Supplies, One West Victory, 13 Bricks Clothing, La Voz Latina, and all of Art Rise Savannah’s members.